Not sure at this point if I've talked about this on the blog or if it was to a friend but when it comes to sofas I have my favorites! Pretty much all would need to be imported and are all what I like to call investment pieces, not budget friendly but certainly within the buy less, buy well school of thought. I like sofas with cushions built in or somewhat discreet, for example one long seat cushion rather than 2 or 3. My reality does not cease to remind me that as long as the kids are young and use the sofa for fort building and as a trampoline, my priority when it comes to sofas is not aesthetics first but primarily how washable and low maintenance the sofa is. We've had an IKEA Nockeby since Elin was just a few months old, somewhere around 2.5 yrs. It was a budget buy, large enough for several people to sit on or for one person to sleep on with generous cushions that aren't too stiff but also don't feel like sofa quicksand. You know the kind, the new sofa that looks deceivingly firm but as soon as you lean in sit down the sofa has tried to inhale you and regaining a standing position could not be achieved without the help or a friend. Well our Nockeby isn't one of those either. Beyond the comfort and price we also like the Nockeby because it is from IKEA which means besides a warrantee you can also easily find custom covers from Bemz. Two years ago our chair got a new look, and since then Bemz has made me a believer that being stuck with an IKEA sofa is not as uninspired as it sounds. In the last few years we've had multiple covers for the sofa, all from IKEA and all were less than thrilling. The colors were not quite right or the weave of another held onto crumbs or yet another pilled like crazy! Bemz has a much larger variety including velvet, cotton, canvas and linen. 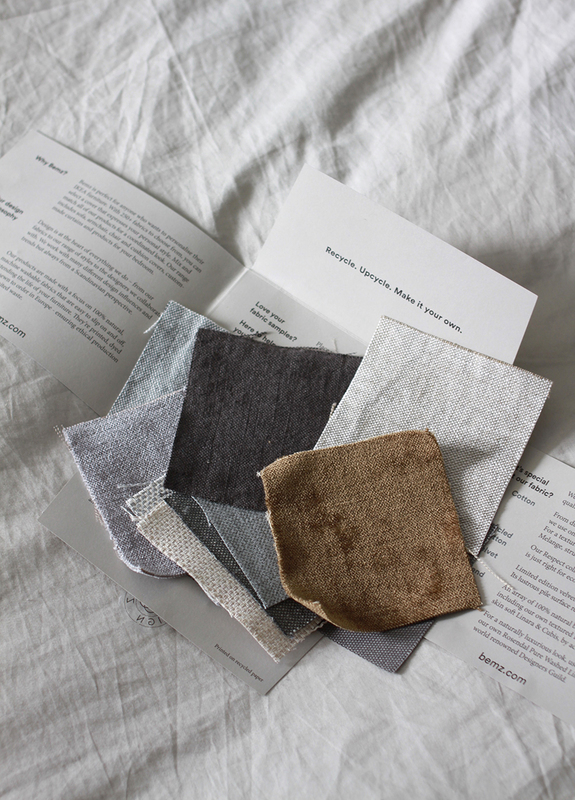 Bemz sent over some samples and I was happy to see that new velvet covers were available for the Nockeby! Ultimately I chose a different fabric because we have a velvet ottoman and our area rug has a very velvet-y texture. Trying to avoid velvet overkill I chose a linen blend, because I do love linen so.